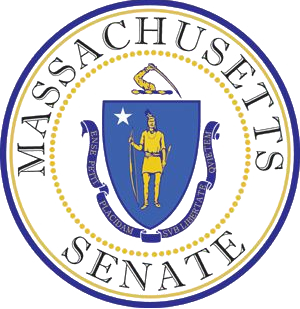 On Wednesday, May 14, the Massachusetts Senate Committee on Ways and Means released its $36.25 billion budget proposal for fiscal year 2015. The Department of Early Education and Care (EEC) and its programs were funded at $525.43 million, a level that is $5 million higher than the House budget and a roughly $28 million increase over FY14 appropriations. The Senate proposal includes $17.5 million in new funding to serve children on EEC’s income-eligible waitlist, which currently consists of 24,000 children birth – age five. The Senate provided $1 million for a new pre-kindergarten grant program targeted to children in level 5 schools and districts, and jointly administered by EEC and the Department of Elementary and Secondary Education. The Senate proposal also cut $1 million from the Universal Pre-K grant program and $4 million from full-day kindergarten grants. “Strategies for Children applauds the Senate Ways and Means Committee for increasing early education access funding for income-eligible children. The $17.5 million in new funding will serve thousands of children currently on the state’s waiting list. This amount is higher than both the House and Governor Patrick’s proposals. Today in Massachusetts, too many children show up for kindergarten already behind, and too many will never catch up. Research clearly demonstrates the lasting short- and long-term positive impact of high-quality early education – on everything from reduced grade retention and special needs placements to improved school readiness, high school graduation, college attendance, adult earnings and health. The Senate proposal will provide more children with the start they need to succeed in school. However, in expanding access to pre-k programs in the mixed delivery system we must also ensure that we invest in quality programs with well trained and compensated teachers, rich curriculum, developmentally appropriate assessment of child development, and high standards. As the commonwealth increases funding for preschool access, it must simultaneously ramp up program quality funding to ensure that preschool experiences are effective enough to impact children’s kindergarten readiness, and narrow the achievement gap. Senators have until Friday afternoon to file amendments to the Ways and Means proposal. Budget debate is scheduled to begin on Wednesday, May 21. We are working to file amendments to restore funding. For more information, visit Strategies for Children’s state budget website.